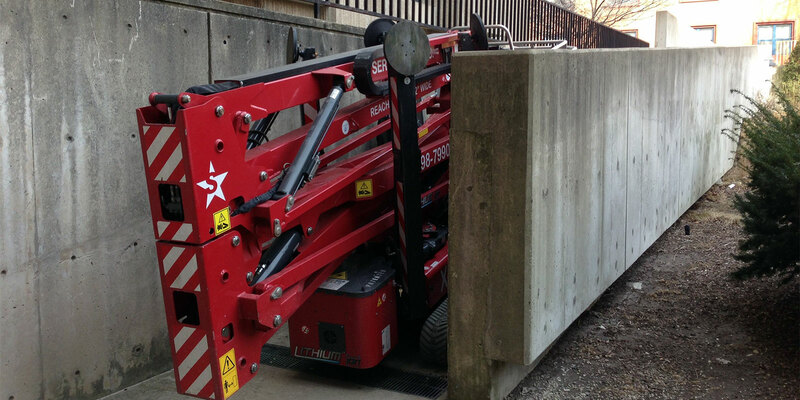 Narrow tracked booms fit through 32 inch to 39 inch wide doors, reach heights ranging from 40 feet to 108 feet. 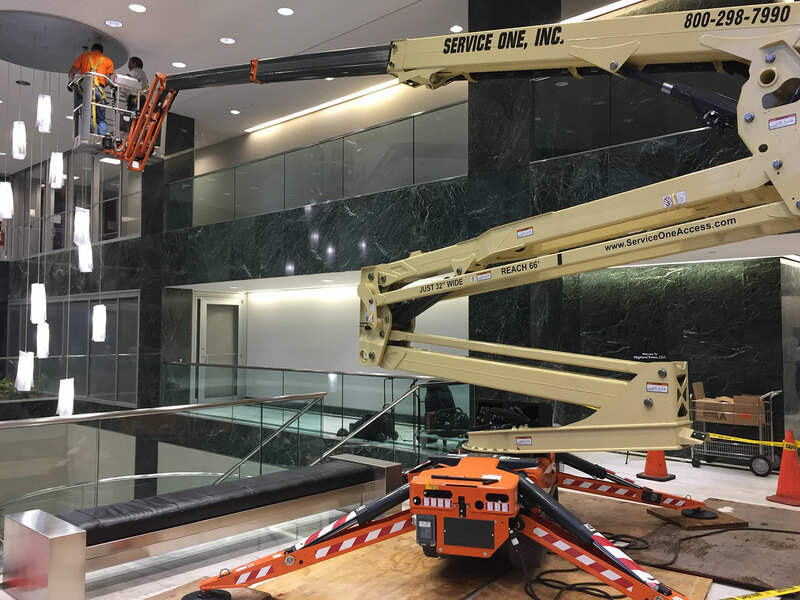 Tracked or compact crawler booms feature zero turning radius, perfect for use on areas of sensitive flooring or where low surface pressure requires a light, compact design. 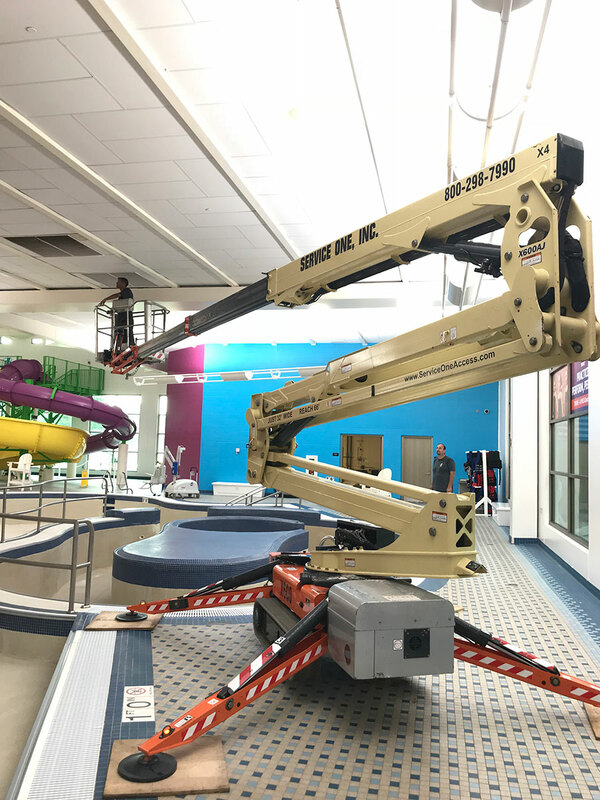 Extreme gradeability (33%- 40% depending on machine), and adjustable track and outrigger heights allow navigating irregular terrain, slopes, narrow bridges and most construction sites. 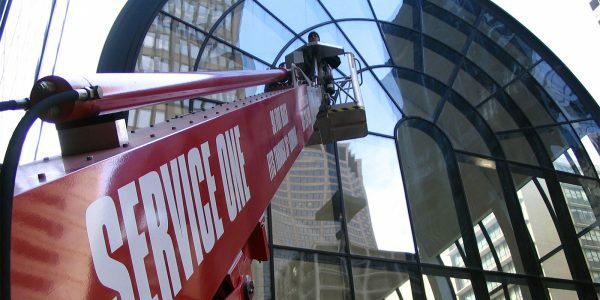 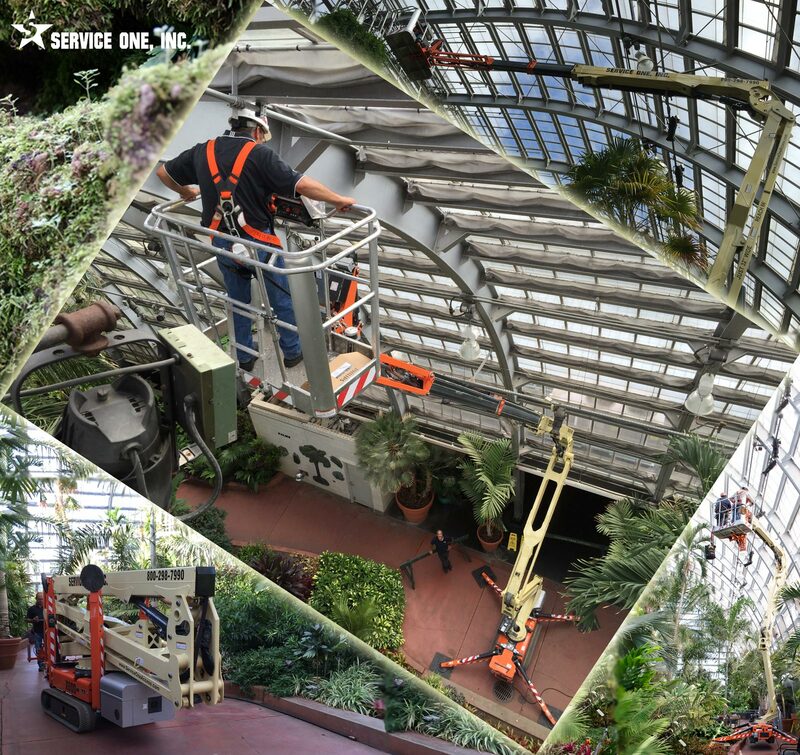 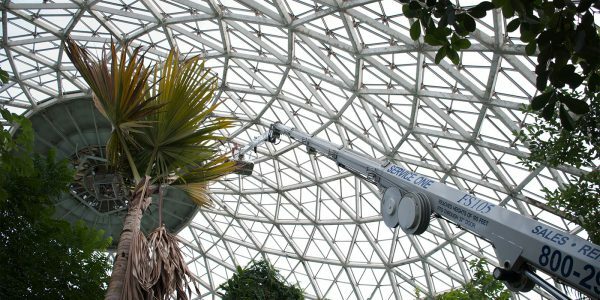 Among the newest in access technology, our track-mounted light-weight booms are truly a two-man personnel lift that can “go anywhere”. 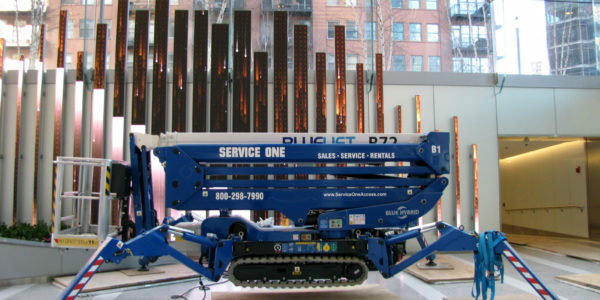 Our rental fleet features non-marking rubber tracked chassis HYBRID powered which means Each Blue Lift is equipped with 2 fuel options- electric (lithium battery powered) for indoors, and direct drive (gasoline powered) for outdoor use. 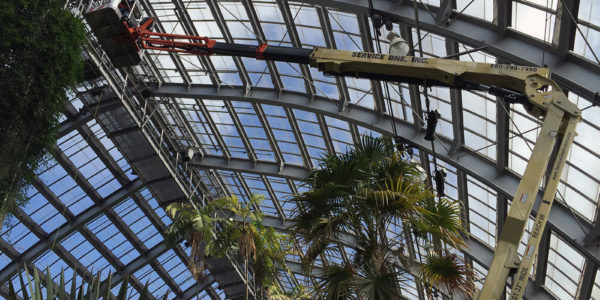 When extreme height is needed, the 32 inch wide crawler booms include the Reachmaster FS 138 and the Tracked FS170, reaching an amazing 170 feet!